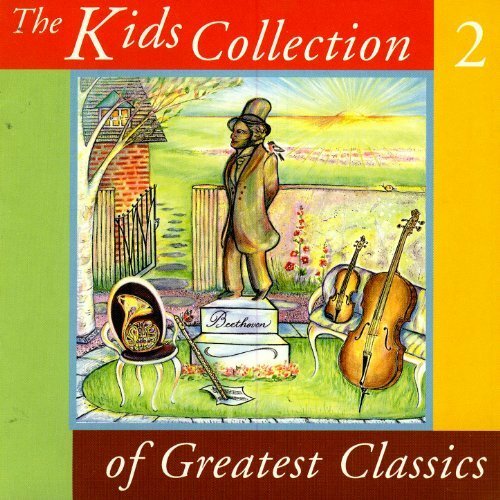 "The most familiar classical melodies, arranged in a child-friendly, palatable style using both folk and orchestral instruments"
The Kids Collection of Greatest Classics is a warm introduction to the treasures of classical music. Best-loved themes of the great composers are presented in short, lively arrangements that capture the heart and inspire the imagination. Kids will delight in the exquisite melodies of Beethoven�s Pastoral Symphony, and they�ll be dancing to the Can Can. From the exhilaration of Lizst�s Hungarian Rhapsody, to the elegance of Mozart�s Horn Concerto #4, The Kids Collection is the perfect beginning to a life-time appreciation of beautiful music.